Shilen Rifles, Inc. Returns to Rifle Manufacturing! After a hiatus of nearly twenty years, Shilen Rifles, Inc. is proud to announce their return to the rifle manufacturing market. After several years of painstaking research and development, Shilen is now producing complete rifles that will fill the need of any accuracy minded shooter. Each rifle's foundation is a CNC precision crafted stainless steel action. Actions are available in either a DGR (D@#% Good Repeater) or a DGV (D@#% Good Varminter) configuration. Both are available for right and left-hand shooters. Both actions have a 1.350" diameter and feature 8-40 scope base mounting screw holes. The bolts are spiral fluted, black nitride finish, have a floating bolt head, an interchangeable bolt handle knob and are available in most common bolt faces. Each action comes with a .300" pinned recoil lug for added stability. These actions feature a footprint similar to the Remington Model 700 and will accept most aftermarket components. The actions are matched up with legendary, world record breaking Shilen barrels and triggers from Shilen. 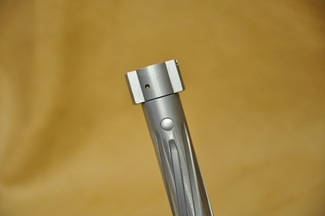 The barrels feature a 1-1/16" - 20 barrel thread and are attached to the action by a barrel nut. This provides the shooter the ability to have one action for multiple cartridges. With minimal effort, shooters can change from a .223 Remington to a .204 Ruger or a .22-250 to a 6mm BR in a matter of minutes. Shooters can choose between a sporter weight wood stock or a variety of McMillan fiberglass stocks. The possibilities are nearly endless. 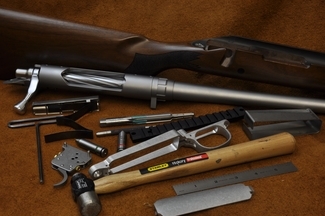 The entire package is delivered in a high-quality gun case containing a leather table mat, cleaning rod, bore guide, cleaning solvent, bore patches, patch jag and bore brush. 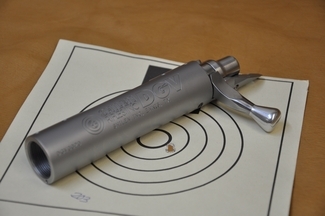 Shooters may also elect to built their own or have their favorite gunsmith assemble a rifle. 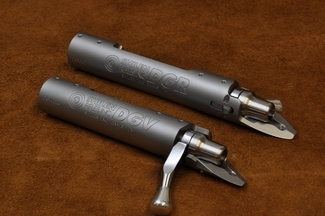 For that very reason, Shilen is also offering DGV and DGR actions and barreled actions. Initial delivery will be limited to thirty rifles per month. Call 972.875.5318 or send an email to comments@shilen.com for more information. Shilen will start to accept orders on May 1, 2010. All rifles and actions must be picked up from our shop or shipped to an FFL holder. There will be an additional 11% Federal Excise Tax charged on the sale of a complete rifle.